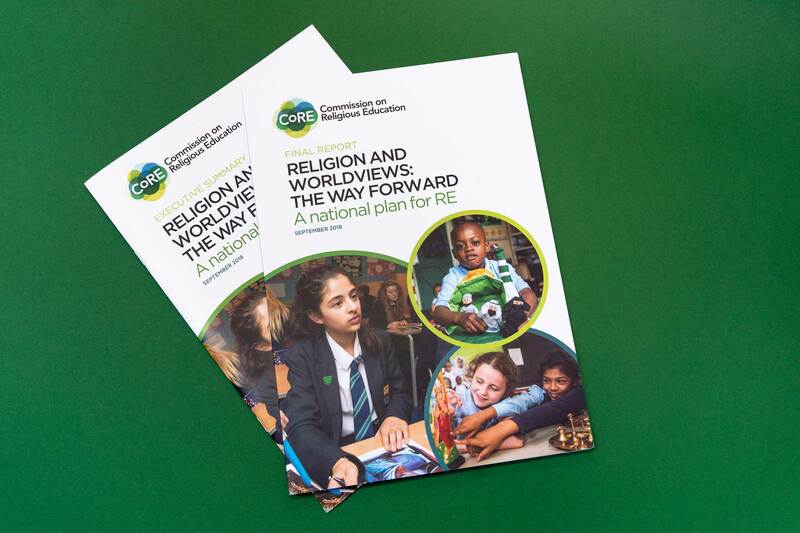 Following on from our branding project with the Commission on Religious Education, the Commission asked us to design the Final Report on their investigation into the teaching of religion in schools. Based on the circles of their logos, we incorporated children’s portraits into the cover, always being sure to provide a fair representation of age groups and religions. 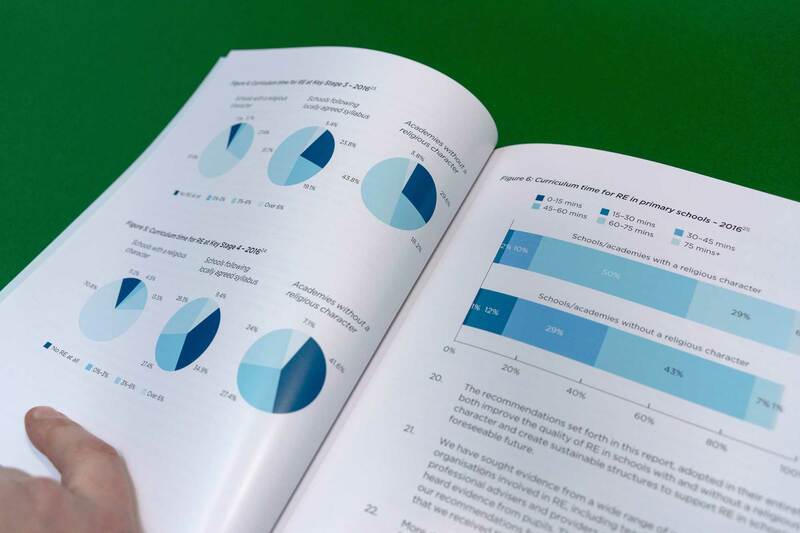 The final report was the culmination of two years’ work together, including logo, website, three reports and summaries full of graphics – always fun and often very demanding!